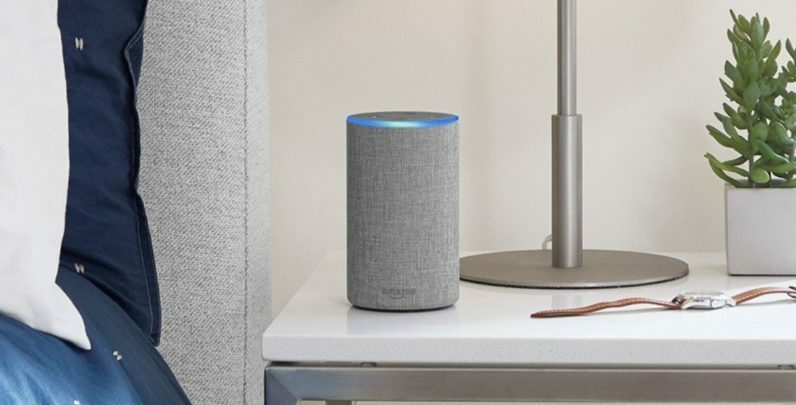 Amazon’s main Echo is getting a refresh that make look an awful lot more like a Google Home thanks to an interchangeable fabric, metal, and wood covers. It’s a lot shorter than the original Echo, and features improved audio thanks to a dedicated tweeter, a down-firing woofer, and Dolby tuning. Amazon says voice recognition has been improved too. The best part: It now starts at just $99. That gives Amazon a particular advantage over Apple’s HomePod and Sonos’ speakers, which start at $300 and $200, respectively. Of course, this says nothing about their respective sound quality, but for people simply looking for a decent wireless speaker with multi-room sound, the Echo could be an enticing option when it starts shipping next month. The Echo Plus looks a lot more like the original Echo, but its main trick is that it can act as a smart home hub, eliminating the need for yet another thing to plug into a wall any time you want to add a new IoT device, as well as any accompanying apps. It also features the enhanced sound and Dolby tuning, but will sell for $149, including a free Phillips Hue lightbulb for a limited time. It will go on sale next month and comes in black, white, and silver finishes. The Echo Show and Echo Dot apparently had a baby and called it Spot. The tiny little Echo features a 2.5-inch circular touchscreen that displays information you might’ve asked for, or can even work as a monitor for a home security system. A camera allows you to have video calls on the tiny screen, which I can imagine looking very cute but feeling pretty cumbersome. Of course, it also just works as an Echo, featuring far-field microphones for your commands, and it comes with Bluetooth connectivity and a 3.5mm headphone jack to connect it to your existing sound system. The Echo Spot will sell for $130 and go on sale in the US in December. Pre-orders are open now. Amazon is increasingly trying to position its Echo devices as an all-around communications device, and the new Echo Connect lets you chime in to your existing landline. You can ask Alexa to call anyone on your contact list, and Alexa will announce people’s names out loud when they call you. It’s a small set of features, but at $35, it’s not too bad. Amazon is apparently turning the Alexa into a party game AI too. Echo Buttons are, well, buttons that light up and can be used to play Alexa-based games like trivia or music games. Think of them like buzzer buttons, but for a game dictated by an artificial intelligence. They cost $20 bucks and come in a pair of two. Amazon says the buttons are just the first of more Alexa-connected trinkets to come.